MicroSDs are cute and so incredibly useful. 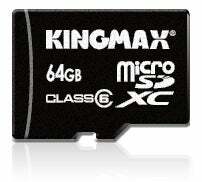 Kingmax, a Taiwanese company, is making them even more useful by bumping the size up to 64GB. It's the world's first 64GB microSD card.